I think this was a shock across the board. 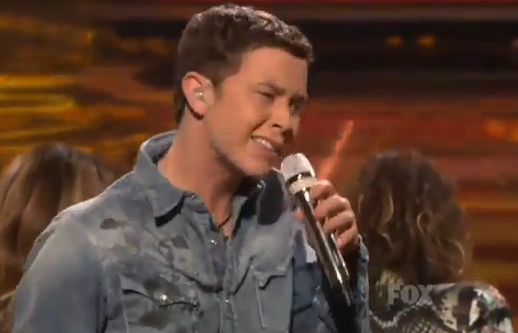 Last night on American Idol, Scotty McCreery changed things up!! He didn’t go all out country like he has every performance up to this point! He channeled his inner Elvis Presley and sang, That’s Alright Mama and he did great! I am not fond of the way he holds the mic, but he can work on that later. For now, he can keep being fabulous. Very impressed. I hope he keeps doing things differently past this one performance. We know he can sing country, what else can he do?